The most popular route is the Ruta de la Independencia or Independence Route which comprises ten municipalities through which the insurgent army under Miguel Hidalgo traversed. 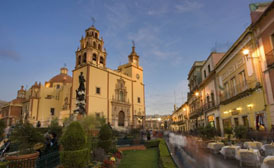 These notably embrace San Miguel de Allende, Dolores Hidalgo, Guanajuato, Leon, Irapuato, Penjamo, Salamanca, Celaya, Salvatierra, Acambaro and the San Agustín de Yuriria Convent, founded by the Augustinians in 1550, all these locations are on the Ruta de la Independencia. 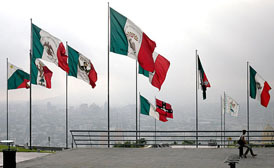 In preparation for the Bicentennial of Mexico’s independence, the state rehabilitated and marked the sites in which the significant historic events occurred in each of these cities along the Ruta de la Independencia.